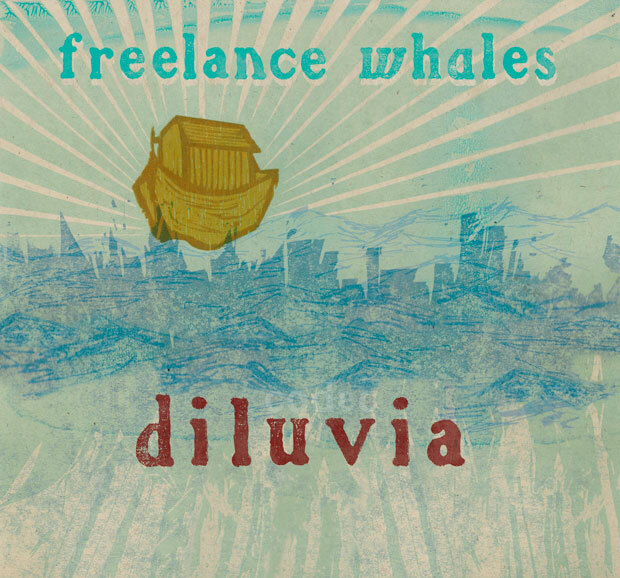 Freelance Whales – "Locked Out"
Following up on their 2010 debut Weathervanes, today Freelance Whales announced the details for their upcoming sophomore album, Diluvia, set for release on October 9th via Mom + Pop Music/Frenchkiss Records. After completing an extensive tour backing Weathervanes, the Queens, NY, quintet sat down and recorded the album over a two month period with producer Shane Stoneback (Vampire Weekend, Sleigh Bells, Cults). The new album is looking to build upon their original sound, creating a more expansive experience through "liberal use of electronics and more aggressive rhythm." Known for creating jaunty indie-pop, the band appears to have continued this fanciful sentiment, writing songs that center on "space exploration, ancient astronauts, dreams, and natural and artificial selection." To accompany the news of the new album, Freelance Whales have released as a free download the LP's lead single "Locked Out". The single demonstrates both the band's refreshed sound though its expanded incorporation of electronics, along with the theme of outward excursions, as vocalist Judah Dadone sings "We have the rations to go anywhere." Take a listen and if you enjoy, input your email below and receive the track for free.